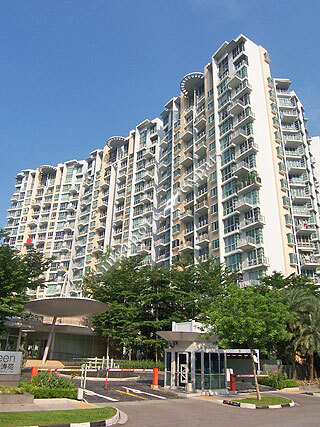 Park Green is a 368-unit executive condominium located at Rivervale Link in the heartland of Sengkang, Punggol in District 19 of Singapore. Park Green is surrounded by an environment of plush natural setting and serenity, set amidst essential amenities. With the Punggol Park just a stone’s throw away and the river banks right next door, Park Green is an invitation to explore nature’s numerous charms. Park Green is within close proximity to amenities including Rivervale Plaza, shops, eateries, fast-food restaurants and supermarkets. Schools like North Vista Secondary School, North Vista Primary School and Punggol Primary School are located near to Park Green too. Park Green is accessible via the nearby Tampines Expressway (TPE) and Kallang Paya Lebar Expressway (KPE) which leads to the Central Business District (CBD) and all parts of Singapore. Park Green is also minutes away from the Kangkar LRT Station and Buangkok MRT Station. This is a great condo, full condo facilities , next to Punggol Park, KPE is also next to it. Walking distance to LRT and MRT station. Spacious bedrooms and kitchens .